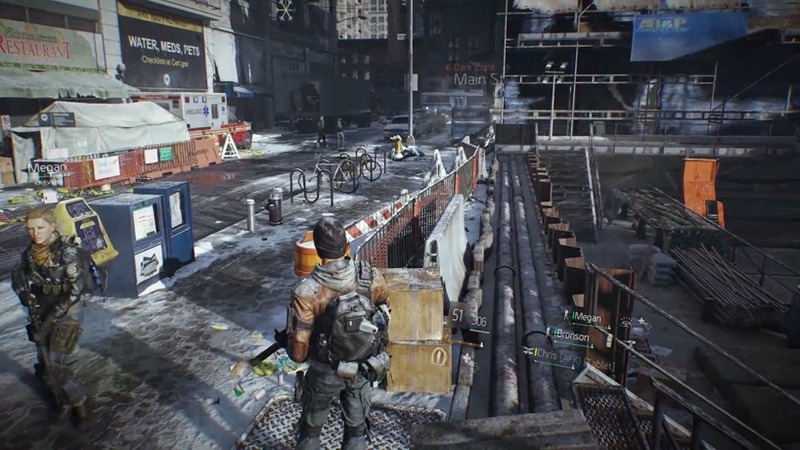 Ubisoft’s The Division was a rather pleasant surprise for me at E3. For a game that has been scarcely spoken about and, even worse, actually played by anyone other than Ubisoft, it took my breath away. That’s primarily thanks to the rather excellent multiplayer dynamics that game has going in the PvP realm, The Dark Zone – which will ensure your friend count drops session by session. Although quickly rushed over during their E3 press conference, Ubisoft has detailed the competitive mode in more detail with a new trailer. There’s more gameplay, more backstabbing and a bit more insight into how Rogues and loot works in the online RPG. In short, Ubisoft has somehow managed to distil the worst parts of online gaming into a compelling, different type of multiplayer experience. I got my hands on this exact mode at the show, and it’s what made me believe in The Division again. Being able to decided whetheror not to engage enemy teams creates tense, uncertain standoffs that often ended in a flurry of bullets rather than diplomatic exchanges. The lack of cross-team voice chat only intensifies this experience, and it will be interesting to see how everyone else deals with having to choose between taking their own loot, or risking it all. Still, Ubisoft isn’t showing off a rather dividing feature about their RPG – something which was only really made apparent to me the show. The Division is very much an RPG, meaning direct headshots notch down a heath bar rather than killing an enemy outright. That’s a bit jarring for a realistic looking shooter – and even worse for anyone under the impression that the game will function in this way. Ubisoft needs to finely detail features like this more, preferably before the beta kicks off this December. A beta which, unsurprisingly, I’m extremely excited for. Next article Aaron Eckhart will keep the action real-time in LIVE!